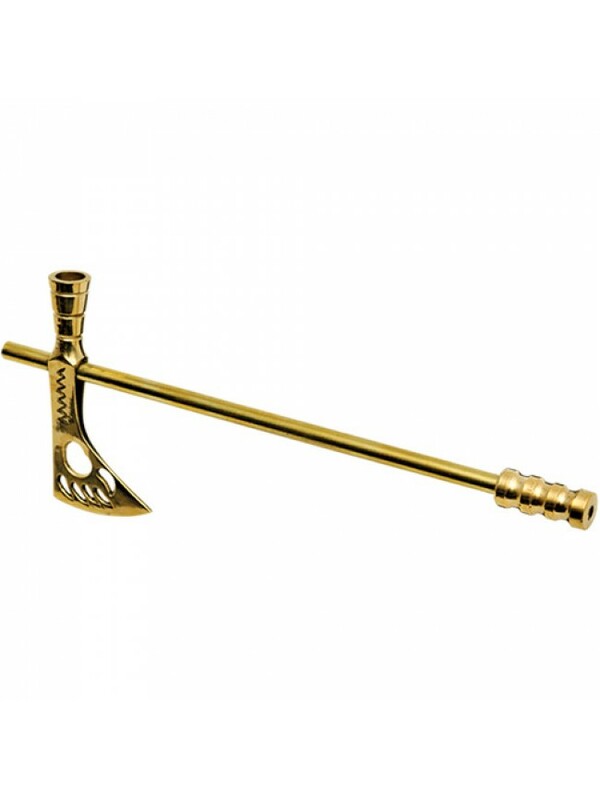 Pipe Wood 8 Tomahawk Peace Pipe"
This Tomahawk Peace Pipe has a bowl in the decorative brass head with a complete air passage. 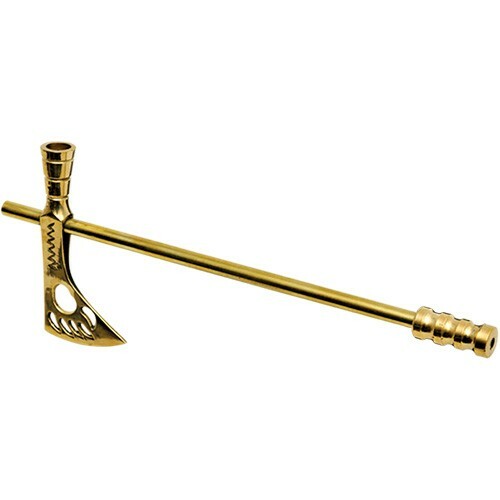 This Tomahawk Peace Pipe has a bowl in the decorative brass head with a complete air passage. Looks great as it is, or dress it up with beads and leather to create a unique pipe. Approx 8 Inches Long.